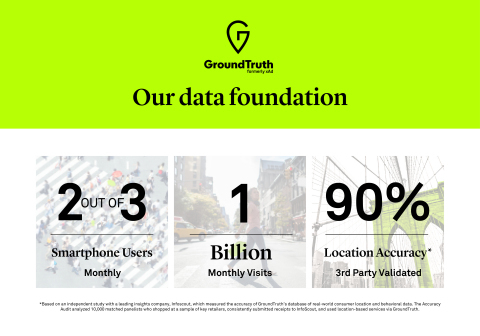 NEW YORK--(BUSINESS WIRE)--Today xAd, a pioneer in the location technology space, has rebranded as GroundTruth. The new name and positioning reflect the business’ evolution from a company focused on the advertising industry to a company empowering businesses through media and data. Since 2009, GroundTruth has fast become the leader in its industry thanks to its ability to build off real moments with precise and accurate data. The rebrand comes at the right time for the company, which has seen tremendous growth over the last year alone. Today, the company operates in 21 countries and sees two out of three people who own a smartphone in the U.S., as well as over one billion physical visits to places globally each month, an increase of 80x from the year prior. This growth is what’s moving the company to expand from an advertising supplier to one that will power decisions across a variety of industries and pillars, whether it's through media, small-medium sized businesses, channel partnerships, measurement or data. GroundTruth has already begun to take these next steps and currently advises companies on how to use its foot traffic insights to make more strategic investments. Examples range from helping retail brands with store planning to predicting people's routes in order to maximize billboard viewership. The rebrand was developed in partnership with global brand strategy firm, Siegel+Gale and comes with a complete brand transformation, including a new name, visual identity and brand position: Build off something real. GroundTruth currently partners with the world's leading brands and media companies, including McDonald’s, Timberland, OUTFRONT Media, iHeartMedia and Univision, as well as four of the top agency holding companies. ¹The Accuracy Audit analyzed 10,000 matched panelists who shopped at a sample of key retailers, consistently submitted receipts to InfoScout, and used location-based services via GroundTruth. Siegel+Gale (www.siegelgale.com) Siegel+Gale is a global brand strategy, design and experience firm. Using facts, intuition and creativity, we blend science with art, unlocking the power of simplicity to help organizations realize their full potential. Since 1969, Siegel+Gale has championed simplicity for leading corporations, nonprofits and government organizations worldwide. We have offices in New York, Los Angeles, San Francisco, London, Dubai and Shanghai, but we’re willing to fly just about anywhere. We’re also not alone. As part of the DAS Group of Companies, we have strong partners all around the world. 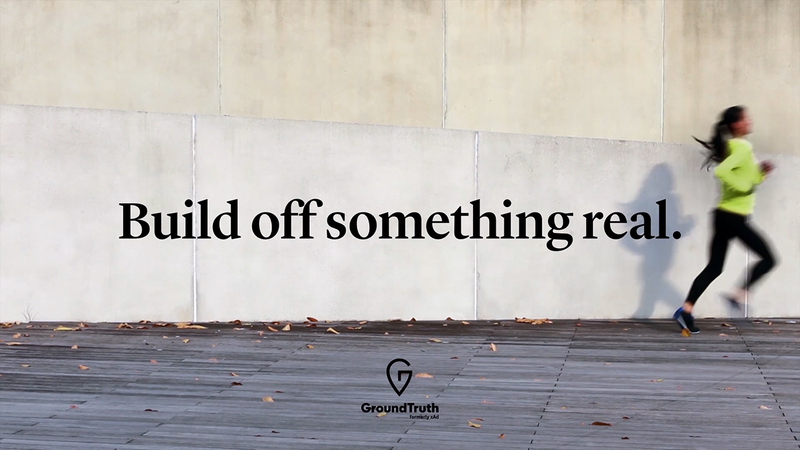 xAd, a pioneer in location technology, unveils major rebranding effort as GroundTruth to expand beyond media.